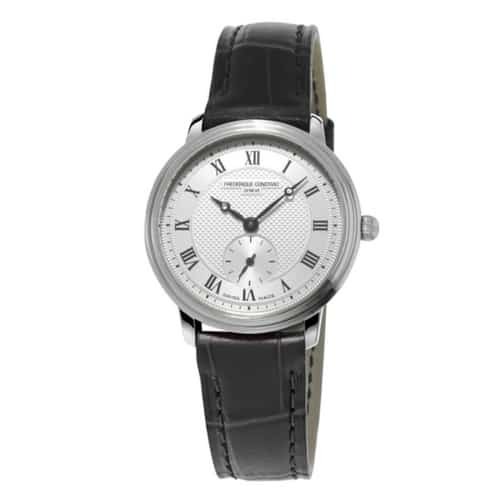 Frederique Constant Ladies Classic Slimline Watch. Yellow Gold plated case, brown leather strap. 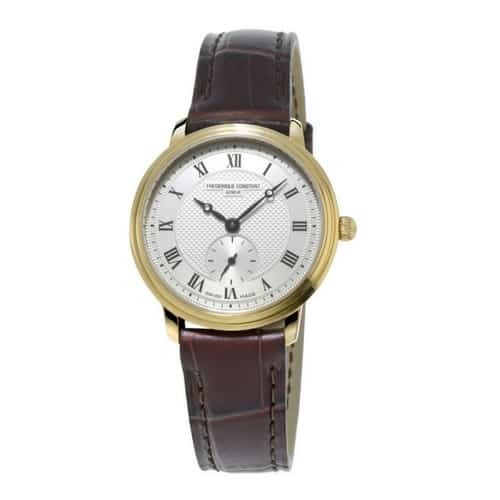 The Frédérique Constant Slimline Collection is a tribute to fine Geneva watchmaking: uniting style, elegance and high quality at sensible prices. The fine quartz movements upon which this elegant and ultra-flat series of watches is based have a thickness of just 1.90 mm. 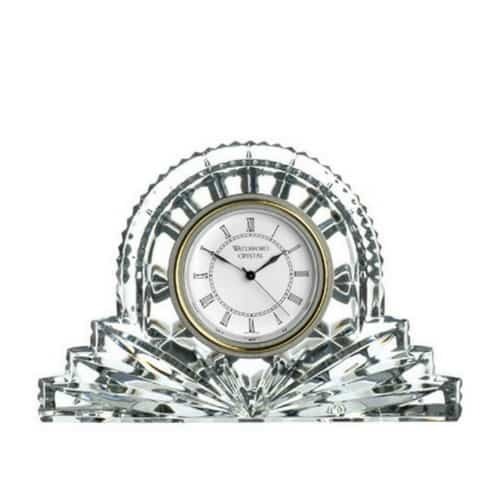 Dials are finished with a delicate guilloché pattern produced by a complex engraving procedure. Precision tooling, with tolerances as low as 1/1000 of a millimetre, have been developed for each pattern and dial design. 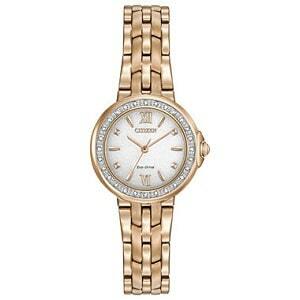 Shown here with a yellow gold plated stainless steel body case, diameter 28.6mm and height 5.0mm. 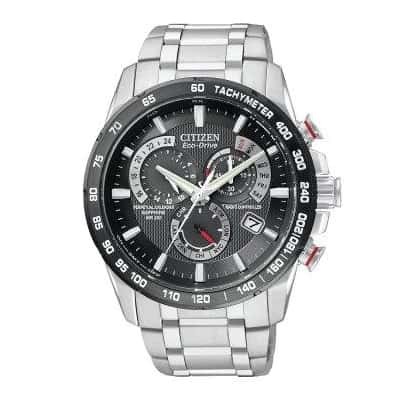 Featuring a sapphire crystal and water-resistant to 3 ATM.